Fixiestudio - Bicivilizados. Ciclismo urbano. Alegría entre tus piernas. 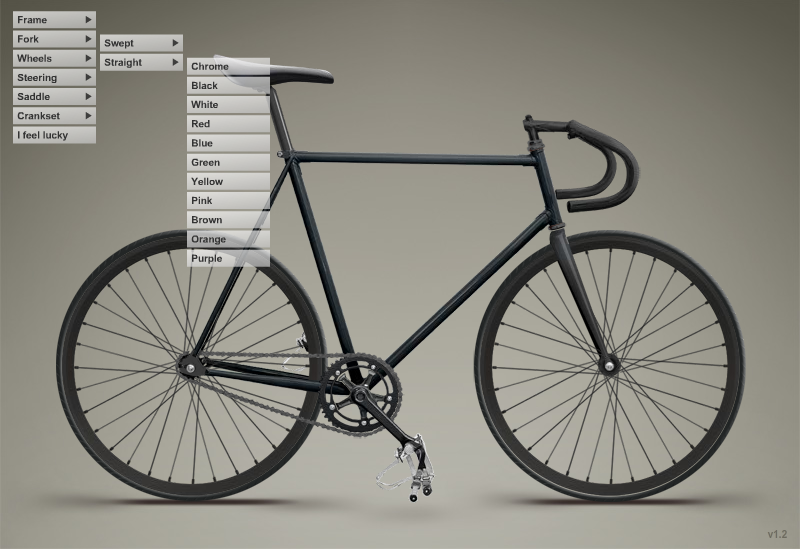 Preview your bike design dreams in the builder above. Beneath you can calculate gear inches and skid patches from adjusting the cog and chainring sizes. 70 gear inches will give you a light ride around town, while 80 will give you speed downhill and a tough time back up.